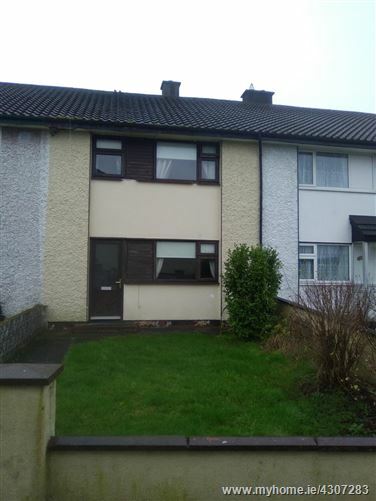 •	A 3 bed.Terraced residence situated adjacent to GMIT – close to School, Shopping Centre, Church, with easy access to City centre and all parts of East side of City. •	Ideal opportunity to acquire a well maintained home close to GMIT and convenient to City also. •	COMPRISING: Sittingroom with open fireplace, kitchen/diningroom with tiled flooring, utility area, 3 excellent bedrooms + main bathroom w.c. and w.h.b. A very attractive 3 bed. Terraced residence - excellently located adjacent to GMIT, Shopping Centre, Industrial Estates, all Schools. OFCH + Double Glazing. Attractive front garden + rear access + rear Storage Area. Excellent sittingroom with open fireplace, spacious kitchen/diner, utility area, 3 bedrooms on 1st Flr. + bathroom. Extremely well maintained within, excellent Bus Routes to City centre. This property could be of interest to either owner occupier/Investor and viewing is recommended.